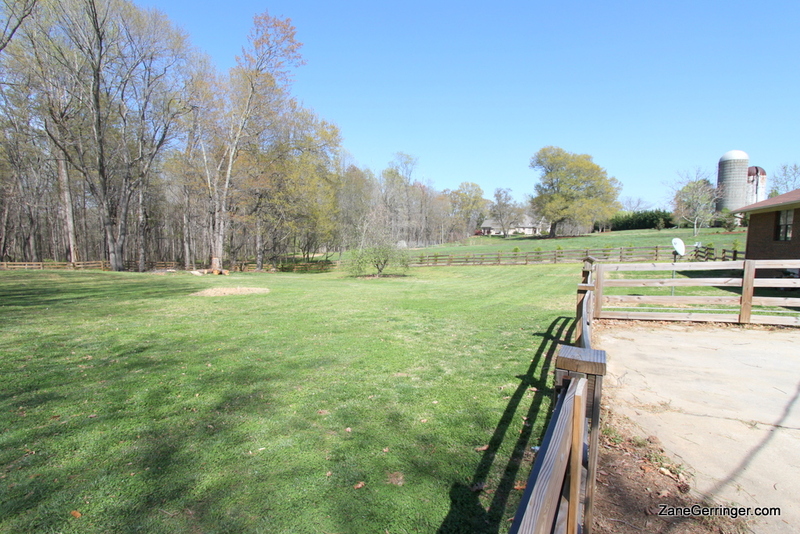 SOLD - View other Summerfield Homes for Sale in Guilford County, NC. 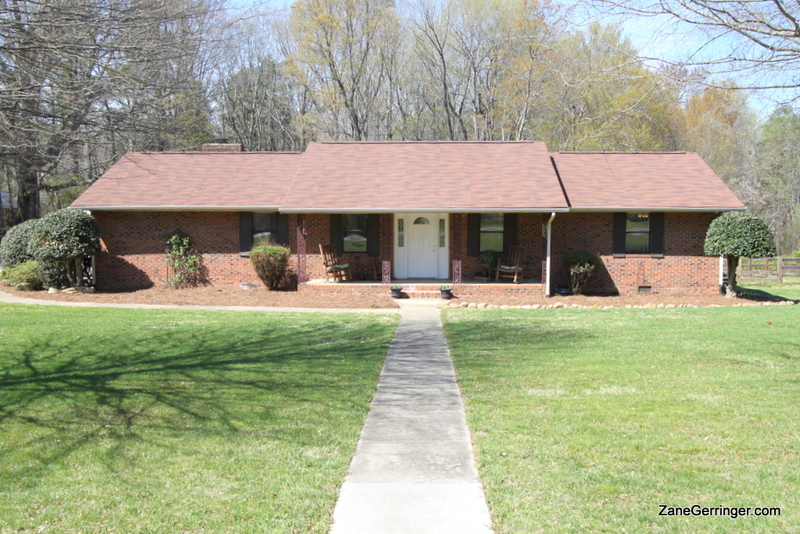 8204 Cummings Dairy Road, Summerfield, NC 27358 - Sold! Welcome to 8204 Cummings Dairy Road in serene Summerfield, NC. You have to visit this property and spend some time on the patio to truly appreciate your surroundings. With over an acre of private land and huge wooden fence, ample paved parking, and beautiful landscaping, this home is a dream. Inside of this solid, all-brick ranch, you'll find approximately 1,700 square feet of professionally updated living area including two completely renovated bathrooms with new vanities, tile showers with alcoves and tile floors. The main living area is extremely open and features a beautiful wood burning insert, stone hearth and new 3/4" hardwoods. This home is located in the new, Northern school district and is USDA eligible. Call today! 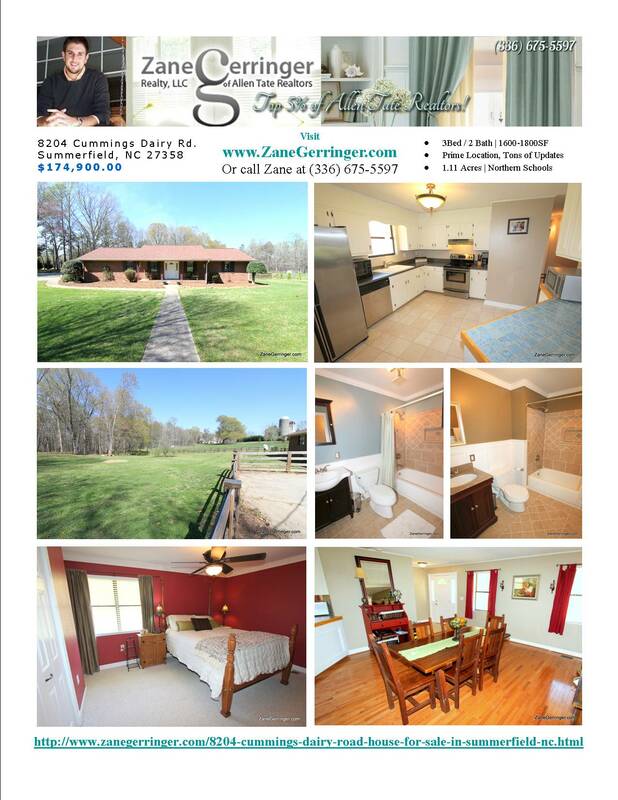 8204 Cummings Dairy Rd in Summerfield, NC is marketed by Zane Gerringer of Allen Tate Realtors in Greensboro, NC.